The U.S. Postal Service failed to meet its service performance targets for a majority of its offerings last year, according to a new report, adding yet another setback for the agency as it attempts to right-size its operations to match the shrinking mailing market. USPS performance actually dipped for most services in fiscal 2015, the Postal Regulatory Commission found in its annual compliance determination, which called on the Postal Service to assess and report back on its failures. While the agency slowed its delivery windows in 2012, it continued to miss its more lax standards for all first class mail delivery -- its most profitable offering. USPS’ regulatory body also asked for a more comprehensive plan within 90 days to improve service. PRC may institute new requirements for the mailing agency after it reports back. “The commission will evaluate the report and may use the information provided to form the basis for establishing a new proceeding or other appropriate action,” the regulators wrote. The Postal Service is also, in many cases, undercharging its customers. PRC identified 24 instances in which USPS gave mailers too large of a workshare discount, to the point that it would have been cheaper for the agency to do the work itself. The report also identified nearly 600 post offices USPS has kept “under suspension,” which generally means the leases on the facilities have expired. PRC said it has repeatedly instructed postal management to remove facilities' suspension status, but the number suspended has instead tripled since fiscal 2012. Sponsors of a Senate bill to overhaul the Postal Service -- including Sens. Tom Carper, D-Del., Jerry Moran, R-Kan., Claire McCaskill, D-Mo., Roy Blunt, R-Mo., and Susan Collins, R-Maine -- said in a collective statement PRC’s findings should build momentum for their legislation. USPS also said it has instituted comprehensive service improvement plans ”focusing on critical sites” and taken additional steps to expand its delivery capacity. 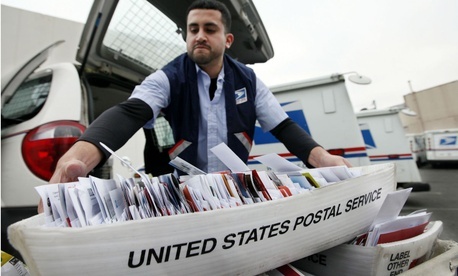 The bad news for the Postal Service did not stop just with its poor performance. A second PRC report released this week found USPS’ liabilities outweigh its revenues, and that situation is also only getting worse. The agency’s $50.4 billion in liabilities is outpacing the value of its aging collection of equipment, vehicles and facilities, which declined $652 million last year. While USPS was operationally profitable -- after removing uncontrollable costs such as its retiree health benefit prefunding -- each of the last two years, its problems will only be exacerbated April 10 when it will start charging mail users significantly less for its services. On that date, USPS’ emergency price surcharge in place since 2014 is set to expire, absent congressional intervention. The surcharge accounted for $2.1 billion in revenue in fiscal 2015, PRC said.